Drivers are being reminded that essential refurbishment work begins this weekend on a bridge on the A27, near Arundel. The Fitzalan Bridge, which carries the A27 over Fitzalan Road and the River Arun, just east of the Ford Roundabout, will be fully refurbished. This will include resurfacing the road and footpath, installing new kerbs, replacing bridge joints and repainting bearings. The work will be carried out over the next four weekends, during which time the A27 over the bridge will be closed. The final weekend may not be required if progress is not affected by adverse weather. 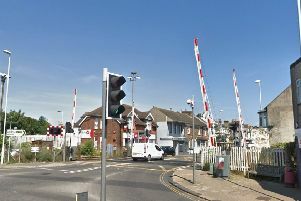 A clearly signed diversion will be in place via the Clapham Interchange, A280, A259, A29 and A259 at Bearsted to rejoin the A27 at Bognor Roundabout, Chichester. For safety reasons there will be no access from Fitzalan Road on to the A27 while work is taking place. In addition, the footpath over the bridge will not be open as usual during the work. Pedestrians will be escorted over it when it is safe to do so. Drivers using this section of the A27 are advised to plan their journeys and allow some extra time to reach their destinations. Live traffic information is available on Highways England’s website and mobile app, and drivers can also listen to traffic bulletins on local radio for updates.